Cinco Puntos Press, 2018. 300 pages. Young Adult Nonfiction. Ask yourself- can you think of one Mexican myth? If you can, would you feel comfortable telling said myth to a friend? If you’re like me you probably answered no to both questions and have now possibly come to the realization that your public school system did you a great disservice by focusing all too much on Greco-Roman mythology and all too little on Mesoamerican mythology. 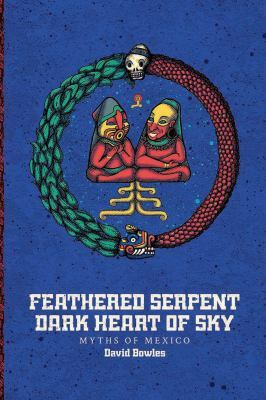 To you, I recommend starting with this book, “Feathered Serpent, Dark Heart of Sky: Myths of Mexico” by David Bowles. In it the myths of Mexico are presented in chronological order starting with the creation of the earth and its people and ending with the arrival of the Spanish conquistadores. I personally enjoyed the fusion of history, religion, and mythology as it gives the book less of a textbook feel and more of what I call a sit-down-storytime feel. The book also includes a pronunciation guide and glossary of people and places which is extremely helpful. One negative is that there are a few errors that were not caught before publishing that were a bit distracting. Even still, I’d recommend this book to those interested in mythology, folklore, and history.